Authentic T-toe shoes pop from court to curb. 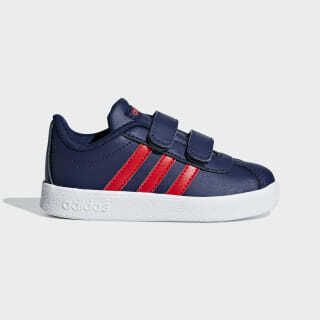 These infants' trainers float on a rubber cupsole. Hook-and-loop closures add everyday ease.